Video has become an incredibly powerful form of content which is being used increasingly more by marketers to sell brands online. Recent studies found that websites with videos can keep site visitors engaged for 80% longer than those without. Furthermore, many customers rely on product videos to assist in purchasing decisions so it is no surprise more businesses are using video within their websites and social media marketing as a way to engage potential customers. Which Businesses Should Use Video Marketing? For many industries there is now an expectation that brands will provide video content. Particularly for those who sell goods or services online via an Ecommerce store, video content can aid the purchase decision process. However, every industry from SAAS to fashion brands are able to use videos within their sites to add credibility to their product offering. Why Has Video Become So Popular? With the rapid acceleration of YouTube, Vimeo and other video sharing websites, uploading and sharing videos to the web has never been easier. And with this ease also comes an increased interest. Some recent studies suggest young people now spend more time online than watching TV. Particularly interesting is the rise in popularity of YouTube as an online destination. The video-sharing site is used every day by almost half of five-16 year olds in the UK. However, it is not just the younger generations - or the Brits - who enjoy watching videos online. YouTube is estimated to be increasing around 60% each year, and reaches more 18-49 year olds than any cable network in the US. 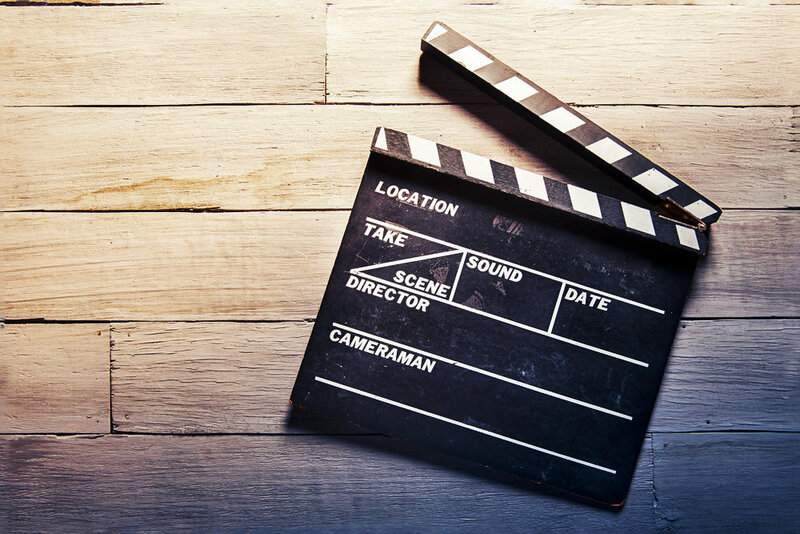 How Can You Use Video in Your Content Marketing? Now you’re clued up on why video shouldn’t be overlooked we can move onto discussing ways in which your business can use it within a content marketing strategy. If you run a small business it is understandable that the prospect of making videos can seem daunting. Big businesses surely have much bigger budgets and more available man-power to outsource or allocate to video creation… Your business can’t afford to allocate resources as effectively, surely? Yes, big businesses will have bigger budgets but creating video content really isn’t as complicated as you might think. Follow these tips and you can too can take advantage of one of the most effective and growing ways to sell your brand online. As is the same with any marketing idea, the initial step you should always take is research. There is no point in investing time and money into creating video content if your customers won’t then engage with it. For small businesses this is even more important as your expenditure will have a bigger impact on your business. What kind of content do your customers respond to? Where are the weaknesses in your conversion journey and how can video assist in filling in the gaps? You should be realistic about your expectations and capabilities. Start with creating one video, not ten and get various people to proof watch it to make sure everything is perfect. You should always end your video with a call to action, whether that’s a plug for your website or a contact number to gently encourage your customer to take action. Once you have decided the aims of the video e.g. to show off your product benefits you will need to decide the style you want to follow. Video marketing comes in a variety of different styles from whiteboard illustrations, product demos, ‘slice of life’ and everything in between. If your aim is to build brand affinity, interviews with your employees and shots inside your workplace can help to humanize your business. If you are looking to share specific information a product demo or how-to might be more beneficial. Our next tip is to make sure you get the video finished. When running a small business, it is easy to put things off but the more time between shooting, editing and publishing the more potential leads you could be missing. By properly planning and allocating time to your video you can organise everything (and everyone!) needed, making the video creation process run a lot smoother. TIP #5: SHARE SHARE SHARE! Many businesses forget the importance of sharing their content marketing after creating it. Making the video is just the first step, getting it in front of your customers is the second. You may decide to add a video to a particular landing page on your website and run online ads that link to that page. If you are uploading your video to YouTube or Vimeo make sure to brand your channel page properly and use keywords throughout your video description, video title and channel content to increase visibility of your brand. If you are uploading your video to YouTube and adding it to your website you will want to make sure it is properly embedded and works well, regardless of the device a user accesses your site from. All of the themes in Kommand are fully mobile responsive, with fast loading speeds. This means our customers can add videos to their website webpages without making their website slow to load, or difficult to use on mobile. For more information about Kommand please get in touch today. Our team will be happy to help!